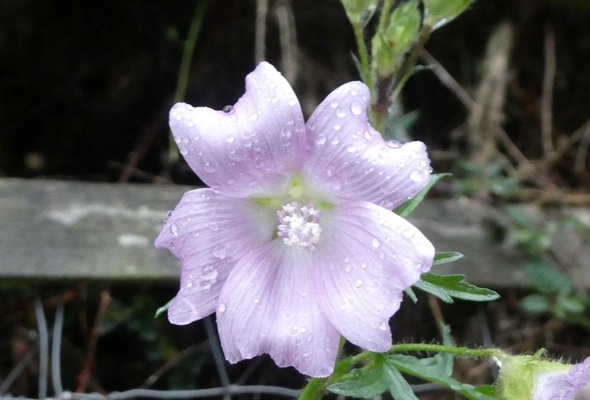 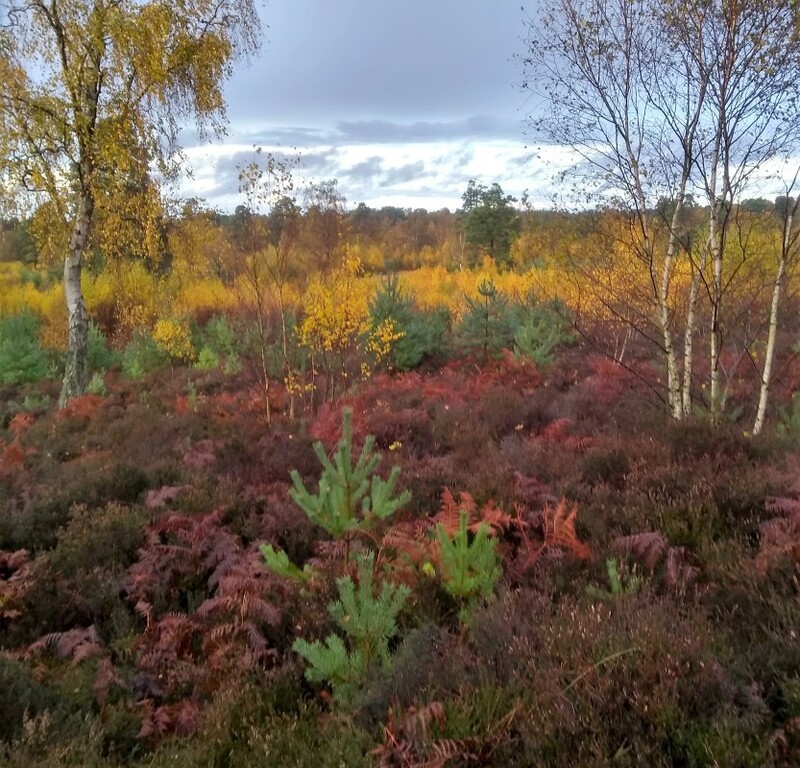 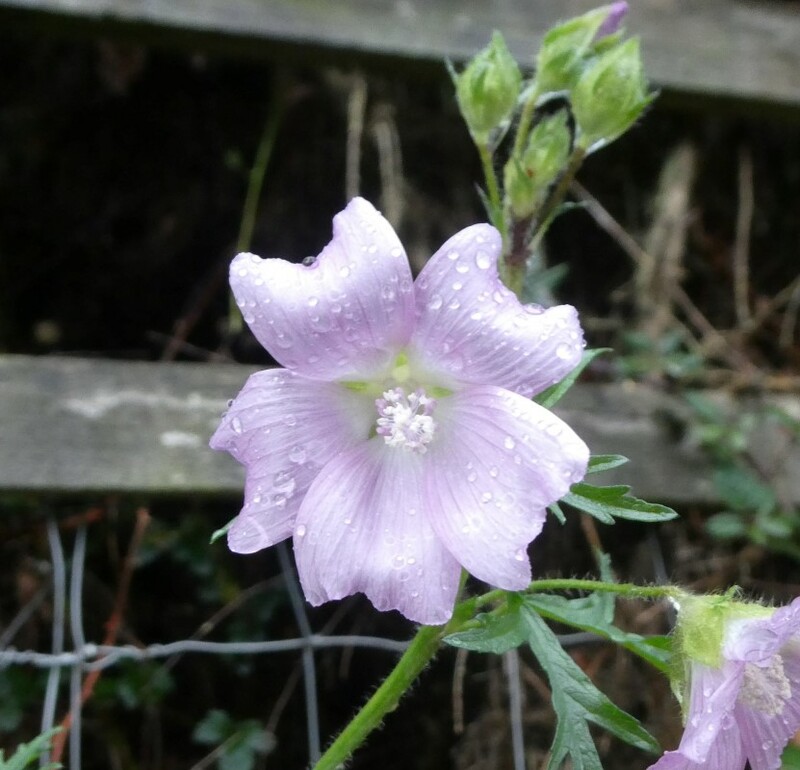 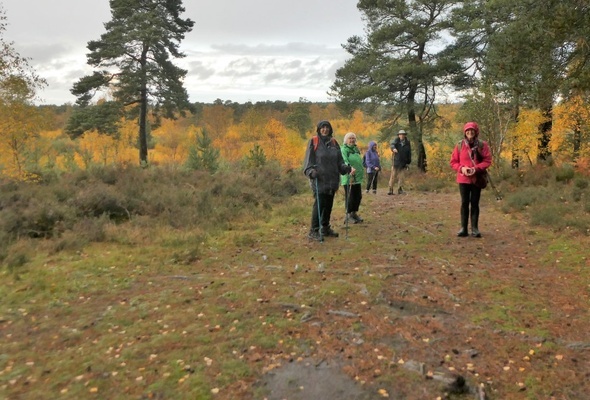 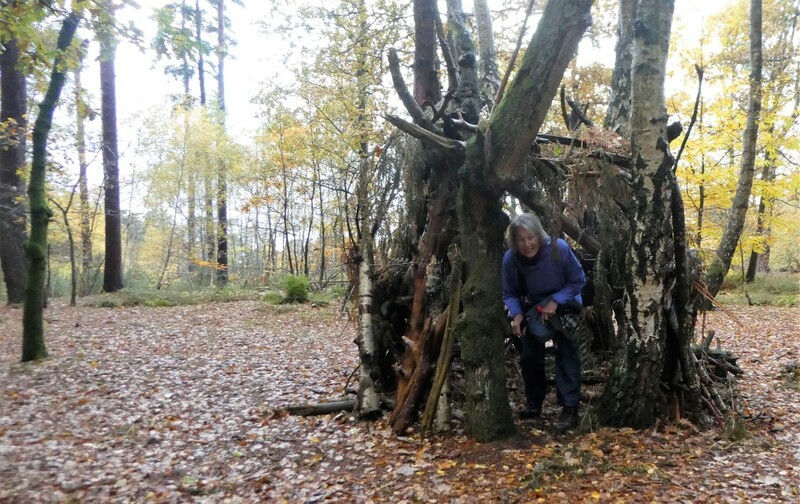 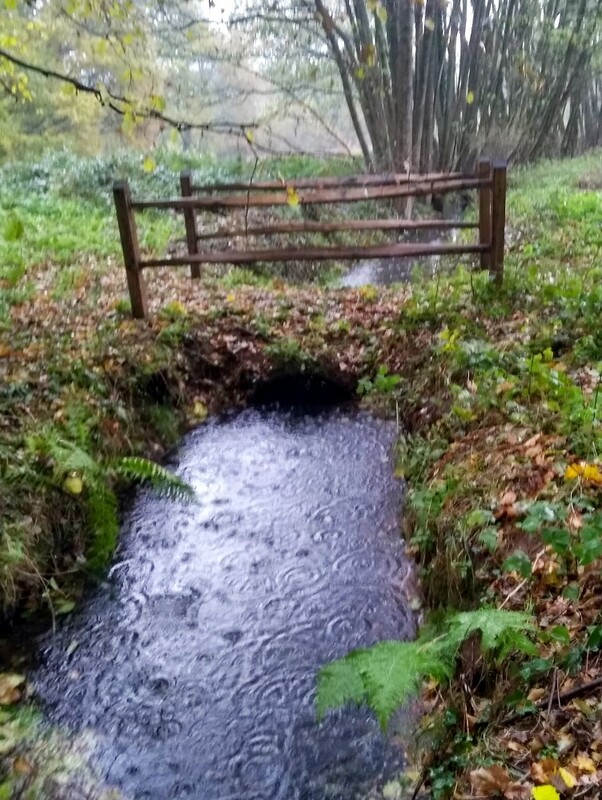 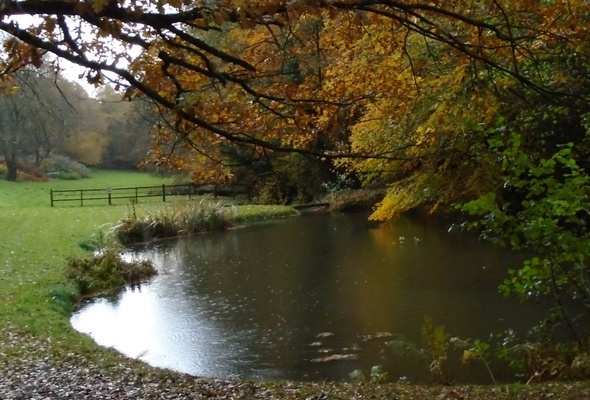 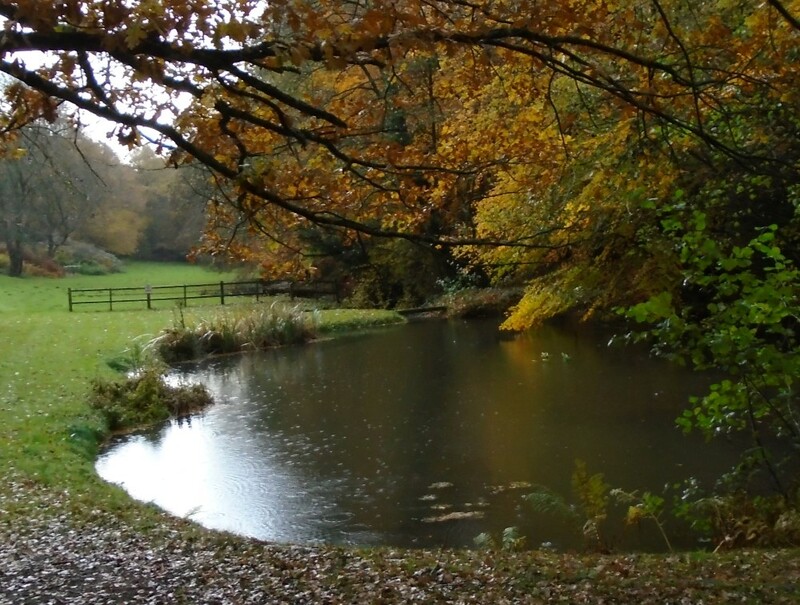 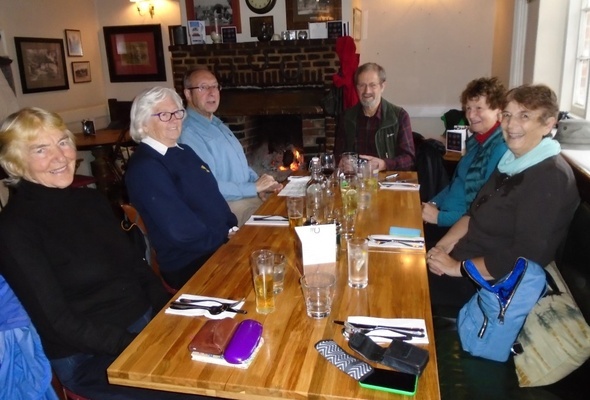 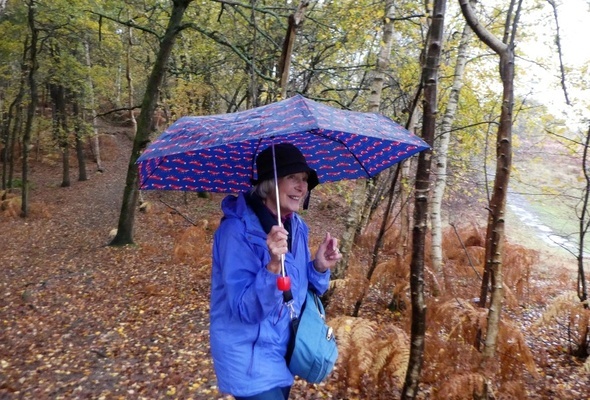 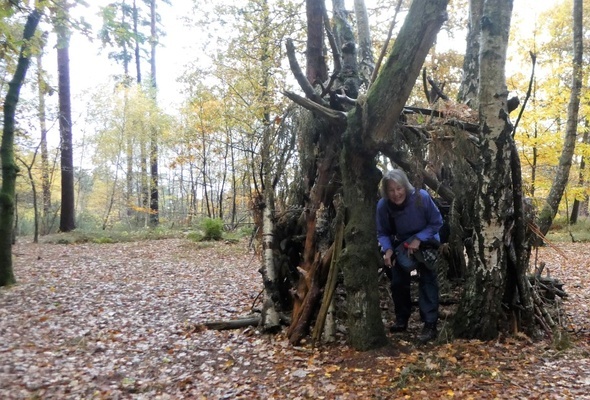 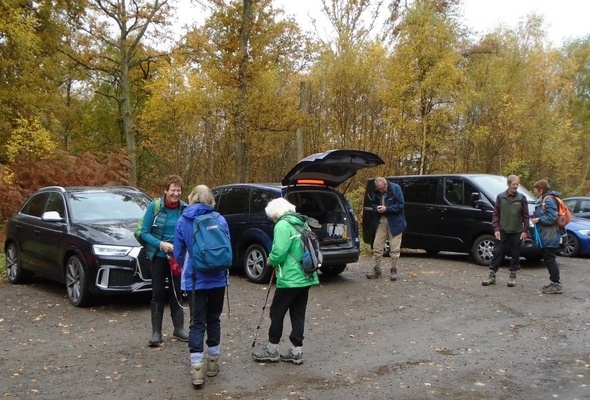 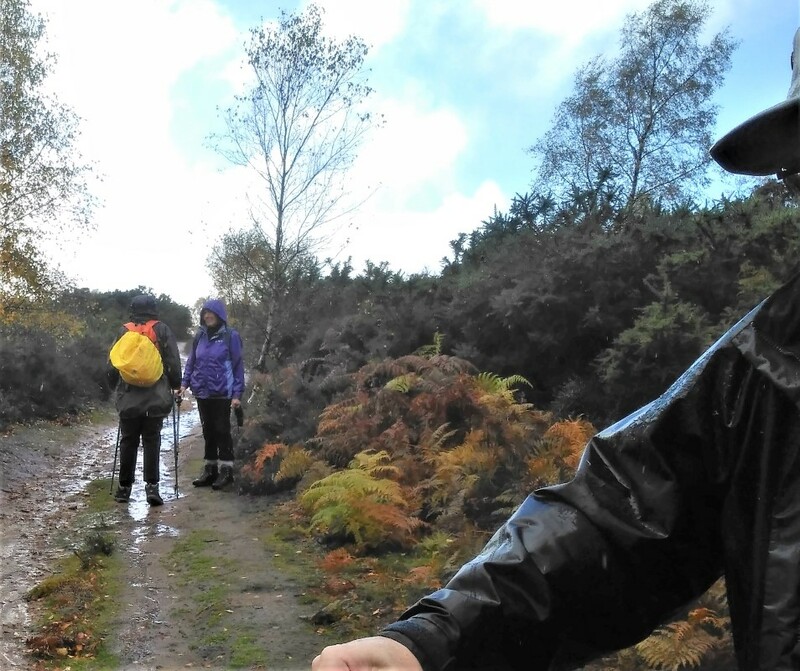 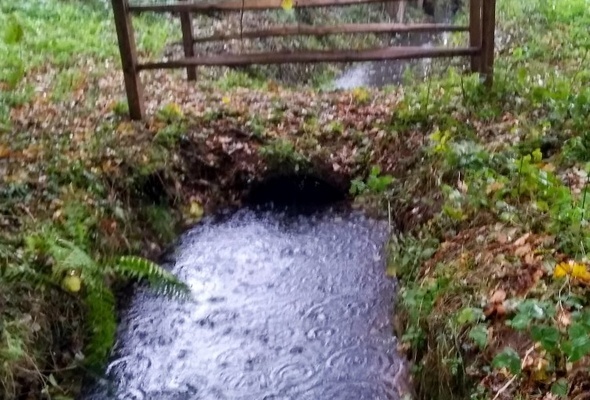 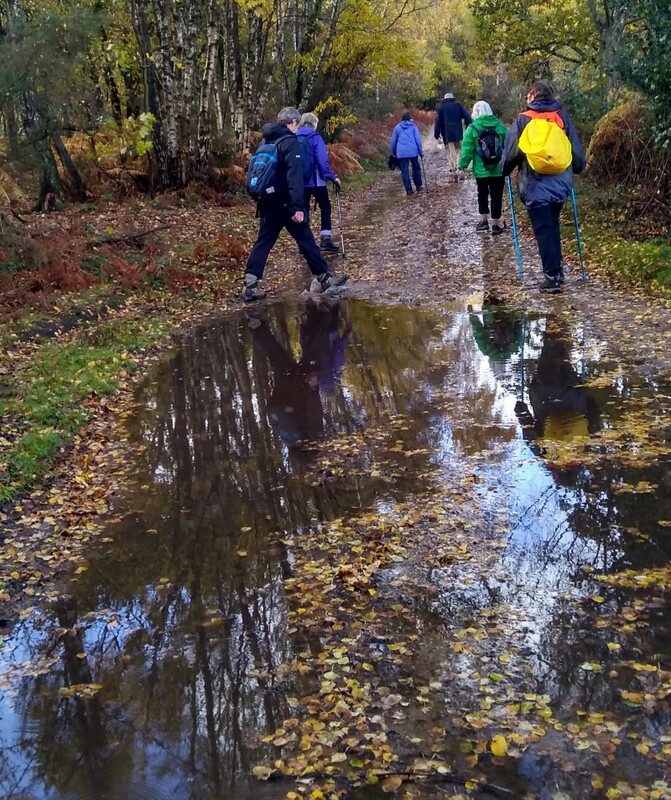 Jeff followed up his Brook walk last week with a Day walk from Witley to Thursley, however the weather was not so dry. We started from Witley Common National Trust car park and headed north towards Milford. 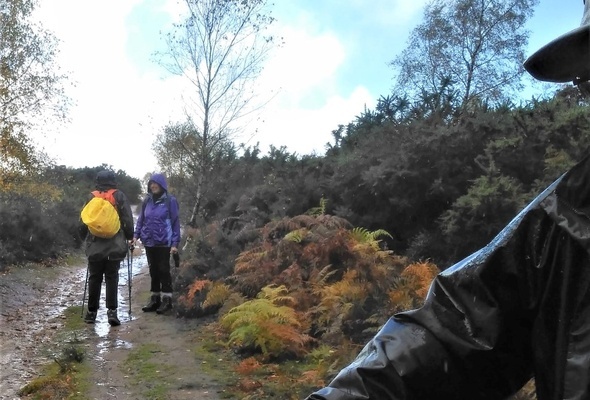 As we knew we were heading for Thursley, we wondering how we were going to cross the main A3. Luckily there is a tunnel under the A3 leading to Rodborough Common/Mousehill Down, so crossing over the dual carraigeway was not necessary. 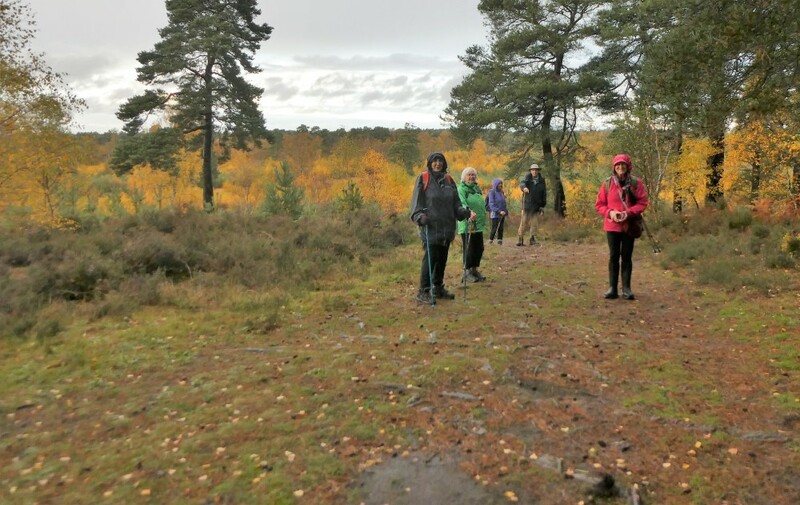 The route took us through Ockley and Thursley Common to get to The Three Horseshoes in Thursley village. 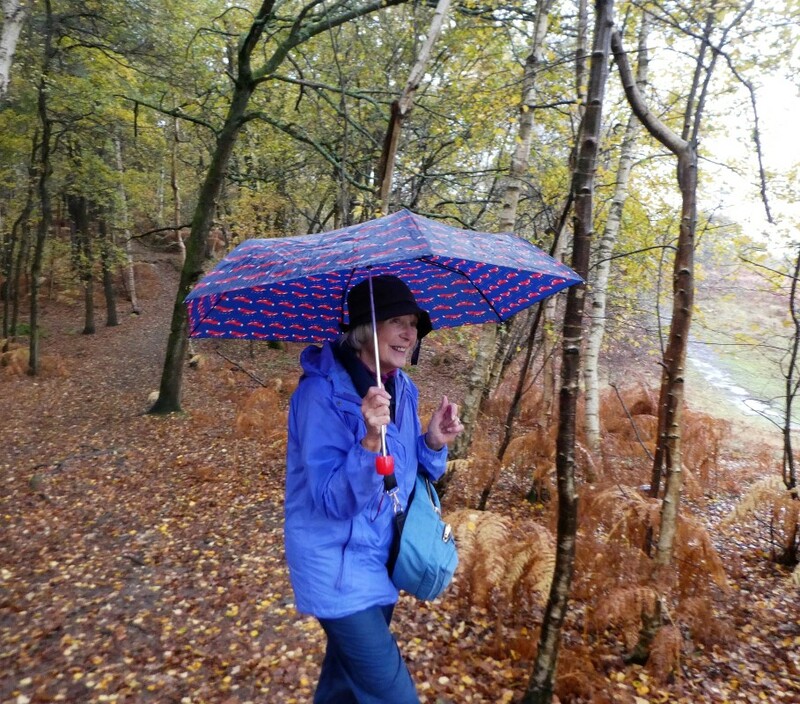 The forecast was for occasional showers but was quite wrong. 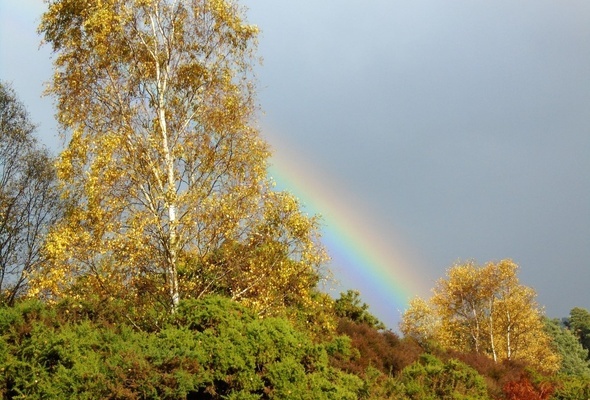 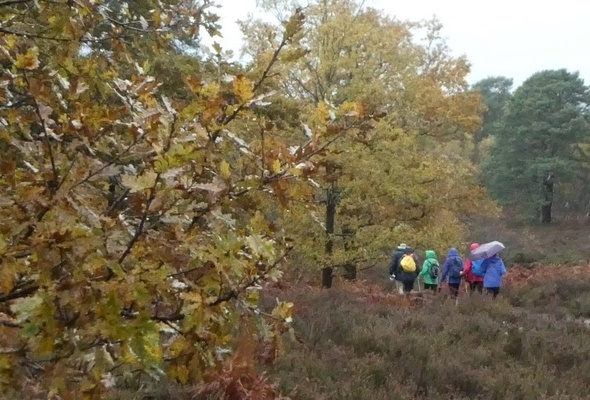 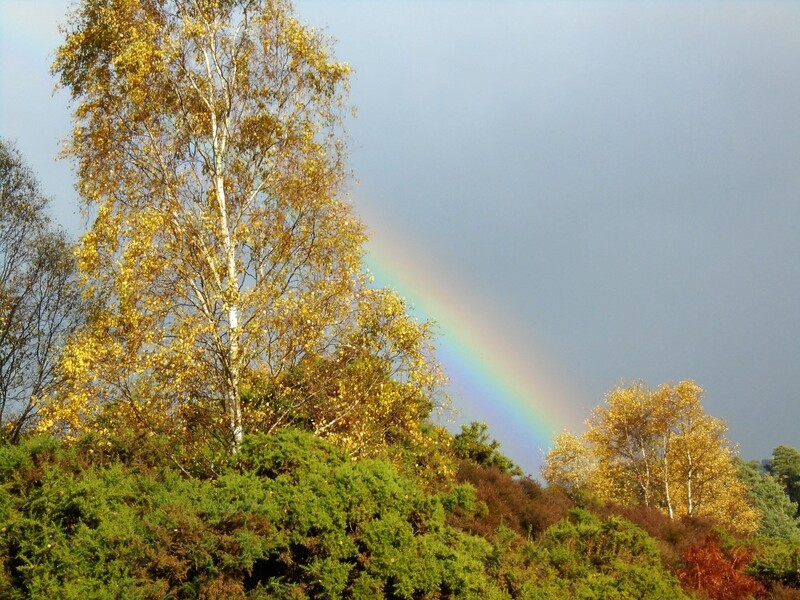 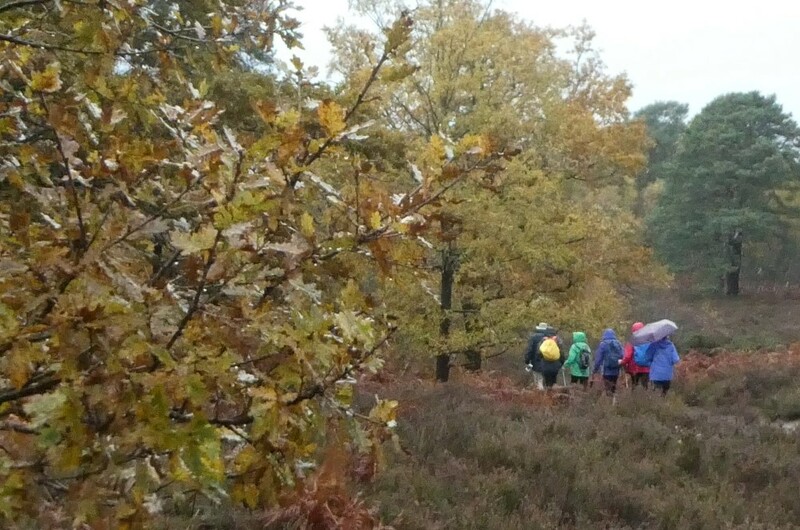 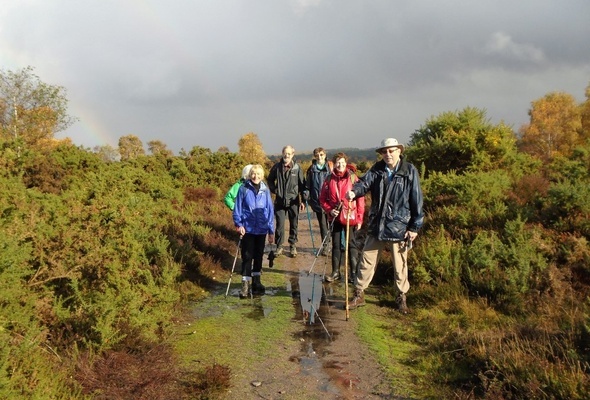 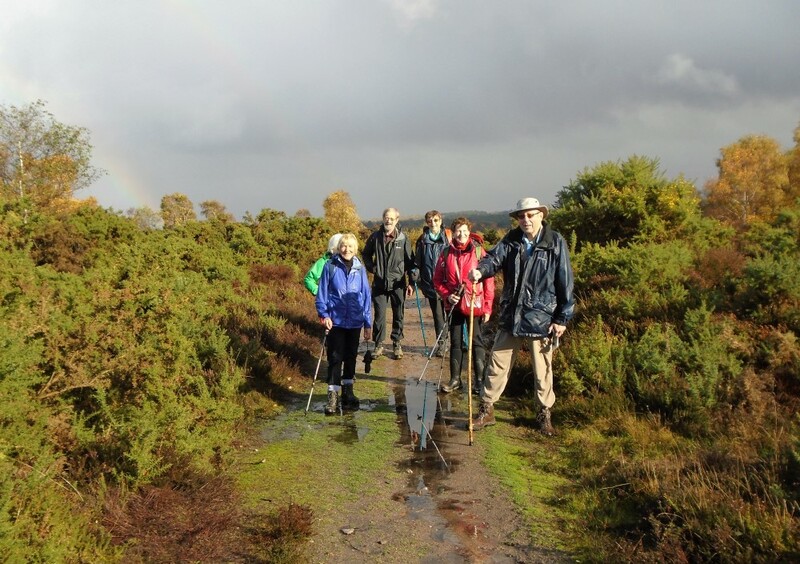 We had steady rain plus a downpour but surprisingly bright sunshine as we neared Thursley. 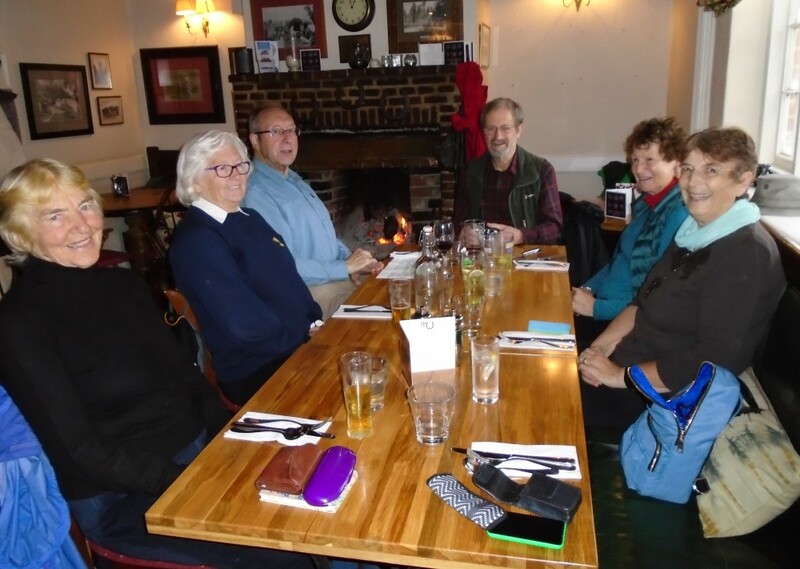 Lunch was good although the tomato soup eaters were a little puzzled... 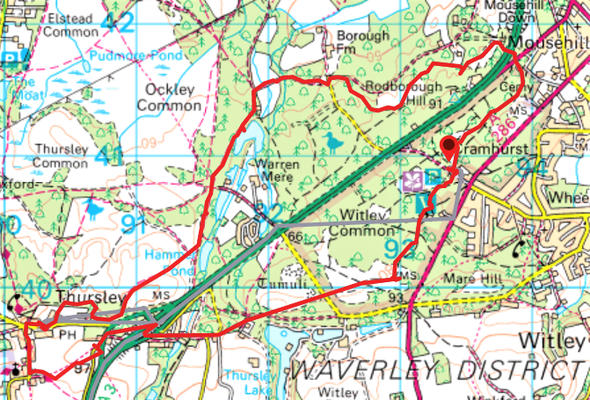 The route back took us over the A3 at the Thursley junction before moving on to Witley Common and back to the car park. 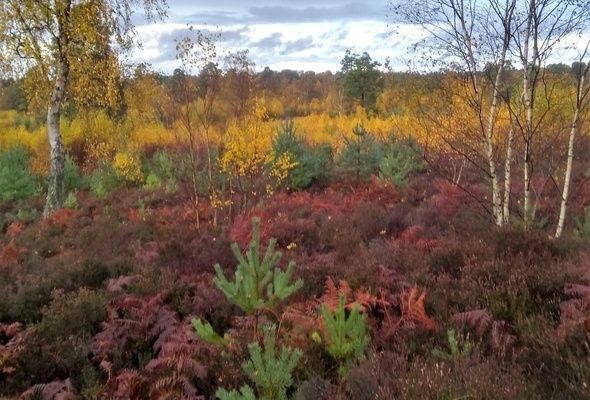 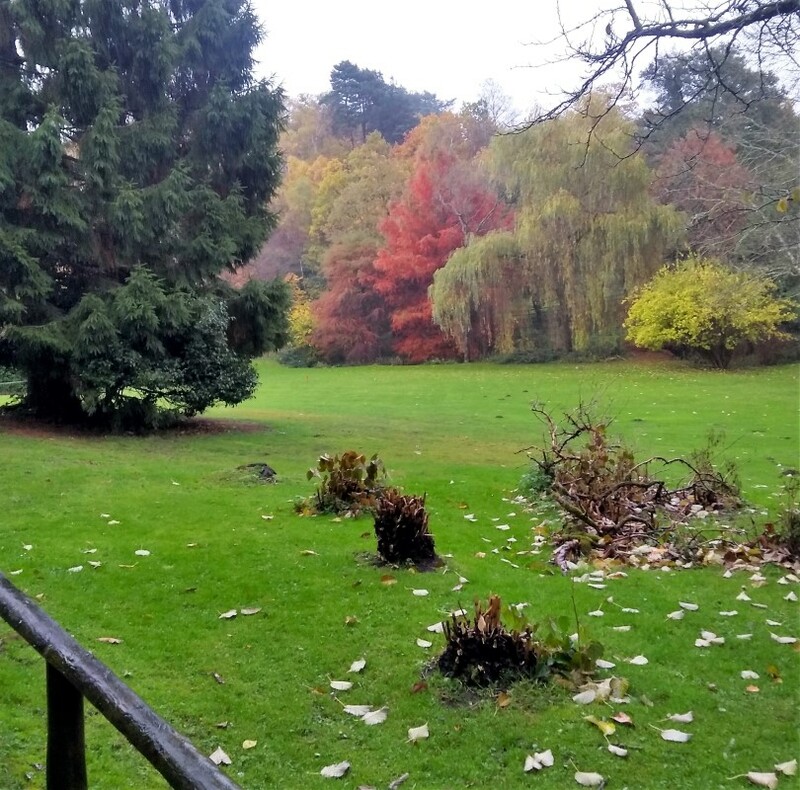 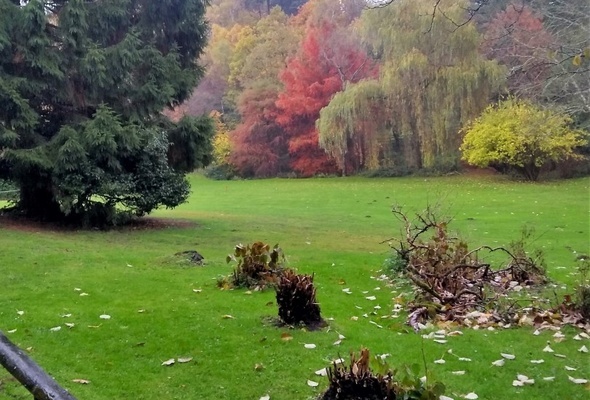 Despite the damp the autumn colours on the commons were very impressive. 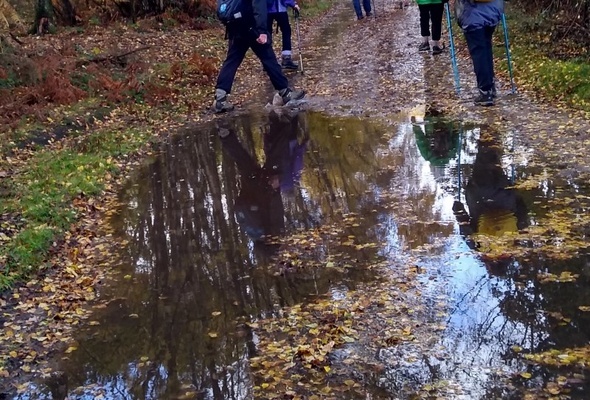 The walk was just over 8 miles.